I'm quite a fan of the movie Tangled, and Disney is tempting me with this upcoming doll of Rapunzel in her wedding dress as seen in Tangled Ever After! It's beautiful, but unfortunately limited and a bit pricey due to its collectible-ness. If you're interested, pre-orders for North America are Feb. 21 and official release worldwide is Mar. 28. Ghost Trick was released for iOS this week, and if you're into puzzle games and/or mystery (to hilarious effect), I highly recommend it. I played it on the Nintendo DS last year and can attest to it being a great experience from beginning to end. You can check this page out for more basic information. You could also check out Destructoid's glowing review of the game when it was released for DS. Disney has had a Kim Possible game going for kiddos over at EPCOT Center for a while now, and I'm guessing it's been fairly successful since they'll soon debut a new game called Sorcerers of the Magic Kingdom. How do they work? With Kim Possible, you get a cool cell phone that gives you instructions as you walk around the park to complete the mission. Cameras capture images of the player throughout the adventure and when you're done you return the phone. 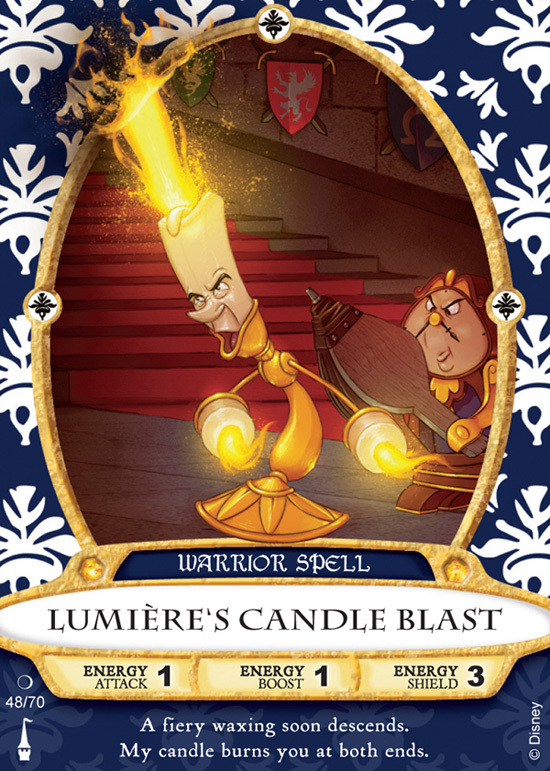 In the new one, you're given cards (like the image on the left) that have different abilities, and use them to fight off villains (more than 20 featured) in the Magic Kingdom to retrieve a shard of Merlin's crystal ball. Rumors around the Disney blogosphere indicate that these cards will become a bit of a collectors item, as you'll receive five when you start the game and can collect up to 70. Here's the scoop. Jen Campbell turned me on to this fabulous video called "The Fantastic Flying Books of Mr. Morris Lessmore." It's about 15 minutes long and you should give it a watch. You could also check out this link to the video page for their awards and bragging rights. It's beautiful -- turn the volume up and enjoy! James Rollins is a mystery/thriller type author that I quite like and has decided to do some author to author interviews on his blog. The first of such interviews was with Jon Land, and you could read it right here. I also came across this cool list of grammar and language blogs, some of which I hadn't heard of before. 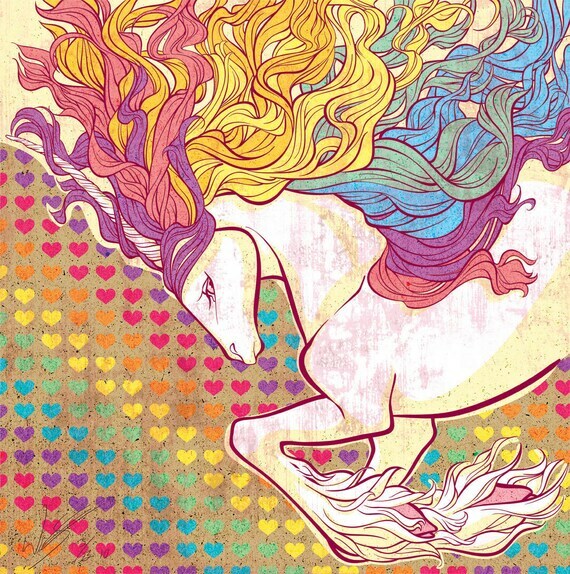 This lovely Rainbow Unicorn piece created by Tamisery was recently featured in Danielle Corsetto's webcomic Girls With Slingshots and is an actual real thing that you could own! Here's the link to the page (also the source of the above image) where you could purchase a 13"x14.5" print. Finally, the talented Nick Pitera has struck again with another fabulous "one man show" video; this time, he tackles Phantom of the Opera. He plays the parts of all three main characters, Raoul, Christine and Phantom. Enjoy the medley! If you haven't ever heard of the man, you'll do yourself well to check out his YouTube Channel. That's it for my shares this week. Be sure to leave me some feedback, and if you have some links that you think I should be checking out, do drop them in the comments below or in some format I'll be able to see them. Thanks for reading!